Girls Under 16 Football Record Breaking Success! 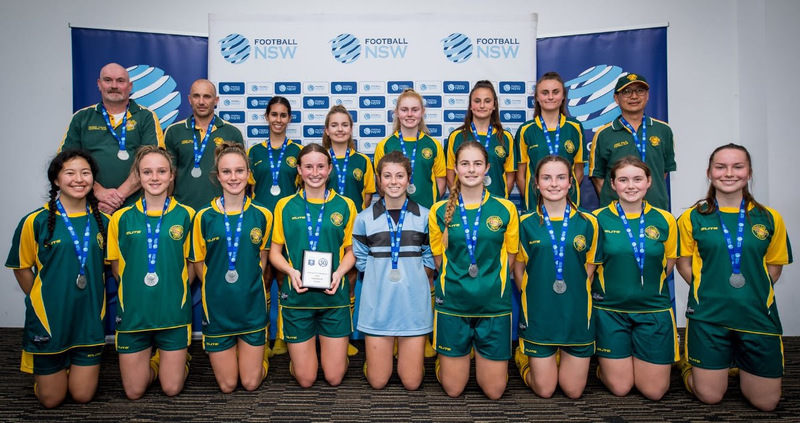 Mount Colah Football Club’s record-breaking Girls Under 16 team, G16A continues to break records as Football NSW Champion of Champions 2018 Girls Under 16 Runners-up! This success caps off an amazing Champions journey when only four short years ago, the team started out at the bottom of the table, of the bottom division, in the 2015 NSFA Girls Under 14 competition. The major achievements this year include Girls Under 16 Diamond League Premiers, Girls Under 16 Diamond League Grand Final Winners, as well as one of the seven teams from Northern Suburbs Football Association (NSFA) who made it to the Football NSW Champion of Champions Grand Final. Over five thousand players from three hundred teams across NSW, battled for weeks to try and land one of the coveted spots in the Football NSW Champion of Champions Grand Final at Football NSW’s headquarters at Valentine Sports Park. To be one of the elite, selected few, to do so in their football career, and compete to be the number one team in NSW. Mount Colah fans were greeted with a fantastic display of football, with scintillating runs, skilled ball play and bone crunching defence by the girls during the Tournament, as the girls fought their way through the rounds against some of the best teams in NSW. The girls played with the heart and free spirit of Mount Colah’s Colt heritage, and proudly wore the green and gold as they represented Mount Colah Football Club and Northern Suburbs Football Association in this year’s tournament. Players: Taylah Waite, Jasmine Gurney, Holly Turner, Lauren West, Isabella Guthrie, Sienna Odd, Sarah Wing, Carla Sumner, Hayley Sumner, Jasmin Guthrie, Kiera Bridcutt, Georgie Waite, Marianna Rahn, Hayley Manktelow, Tegan Wing, Hayley Winch.